how is the settlement look a like as good as our perspective? A Hamlet is a type of settlement similar to a village but smaller. It contains some small houses with a church or two. 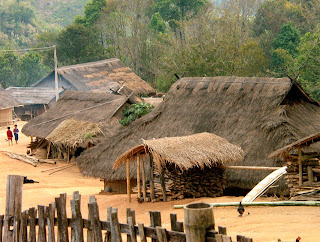 The population inside of a Hamlet is about 100 people, if the population is above 300 people, it is considered a village. A Hamlet is smaller than a village. A town is larger than a village and a city is the largest. We can differentiate a hamlet to a village of town by seeing what is in that settlement. Usually a hamlet consists 1 or 2 churches and no shops which sells clothes, food, etc. A helmet also usually don't have a market inside. So in conclusion, a hamlet is a collection of houses which don't have shops or markets and with a population of about 100 populous. A hamlet is usually clean, less pollution and very green. This makes hamlets greener and fresher that cities or towns and have better air because of the less pollution. While it is greener and have less pollution than cities, hamlets doesn't provide the services which cities provide. There are shops, markets, restaurants, parks, swimming pools, recreation parks, and many more. While hamlets only have a church and houses. Hamlets have the Potency to be a greener and fresher place compared to the city. It also have less pollution and noise unlike the city which is very noisy because of the cars. While a Hamlet doesn't contain that much people or have facilities, some people still prefer to stay in a Hamlet because of the fresh air and greener surroundings. The physical condition in a Hamlet is usually very good. The buildings are well maintained while they are not modern unlike in the city. There are still houses in the Hamlet which are made out of wood and have Twig roofs. The surrounding area of a Hamlet is usually also well maintained and it is clean because there is very minimal trash thrown on the ground. The rivers in a Hamlet is also usually very clean and have crystal clear water. This is because there is no waste thrown from factories and there is very little trash thrown to the river. Usually the social condition there depends on the people there, but because only about 100 people lives there, usually all of them know each other. There is no government which controls the area such as in a city. So in conclusion, a Hamlet is a small settlement which only consists of some houses with around 100 people and doesn't have a government. A city is a large town, it is usually governed by board of alderman or a mayor or councilmen. It is the major metropolitan center of a region. City’s population is around 20.000 people, so it have a lots of housings and hotels in the city. City also have a lots different kinds of mall and apartments that is for the foreigners mostly. It is very easy to find jobs in city and it have a lots of job opportunities. But the prices of things in the city is also different, in the city the prices is more expensive than town, hamlet, and village. The characteristics of city is, it has a lot of high buildings and houses. There is less people walking on the road, most of the people in the city used cars and motorcycles. The positive things about city is that, it is very easy to find what we need or want there. And in the city, it is very close to what we want to go, such as, hospitals, mall, mini markets, supermarkets, or amusement parks. There are many facilities in the city(car, plane, train, motorcycles, etc) The negative things about city is that, it has a lot of pollutions from the transportations in the city. It also have a lots of traffic jams and accidents along the way. In city, there are a lots of “jombloers” because they mostly work alone or individually. The physical conditions in the city is that the people in there uses casual clothes or t-shirts, and mostly uses pants in the mall. In city there are a lots of big infrastructures or can be called mega structures and it is mostly furnish with many facilities(lifts, escalators, high quality of wifi, etc). They less social in the city because they work alone. There are lots different kind of schools that supports their educations. So, basically that living in the city, they will be smarter than in the town, hamlet, or village. the villagers usually lives in a standard life of farming, harvesting, animal husbandry and etc. villagers usually has strong bonds of friendship of each other. usually there are parlements and government system mostly depends on their own villagers itself. villages usually has less motored transportation( car and motorcycle) so there is less pollution so it is potentially much safer to live in village. there is also a strong bond between villagers so there will potentially be many helps when we need them. living in a village is much more relaxing because there is no much noises. the soil there are more fertile than in a city because it has less pollution. The village has its strength which is their natural environment, if the village could manage it’s hygiene and start to increase their facilities such as restaurants, entertainment (wildlife park, amusement park and etc), infrastructure and the government create a highway to your village, many tourist could come to visit the village. for example Batu, Malang and Bandung city. a town is is small city. it has less facilities than a city. it contains school, hospital, train station and many more. town is better than village. in village people has less income than people who lives in a town. and in a town it has better quality, better income, easy to find job. a town consist of tens of thousands people. the environment in a town is better than villages, towns has large buildings, like hotels, mall, apartment and others. but there is not much large buildings like in a city. town have much better environment than a village and hamlet. in a town they have more supplies and much better buildings there. in some towns they are really clean, then is some of the others they are dirty. most of the towns are clean, it depends on the peoples that live in the town which can make it clean. in a town they have quite a lot of transportation available there. they can use a car, train, motorcycle, bikes and many more. 23 Main Characteristics of Village Community in India. 2015. 23 Main Characteristics of Village Community in India. [ONLINE] Available at:http://www.yourarticlelibrary.com/village/23-main-characteristics-of-village-community-in-india/4849/. [Accessed 23 October 2015]. Village Characteristics | eHow. 2015. Village Characteristics | eHow. [ONLINE] Available at: http://www.ehow.com/list_7574771_village-characteristics.html. [Accessed 23 October 2015]. Characteristics of Village Community, has been changed in Recent Times. 2015. Characteristics of Village Community, has been changed in Recent Times. [ONLINE] Available at:http://www.preservearticles.com/201105096377/characteristics-of-village-community-has-been-changed-in-recent-times.html. [Accessed 23 October 2015].